New laundry box and sink rough in - Callaway Plumbing and Drains Ltd. | Callaway Plumbing and Drains Ltd. 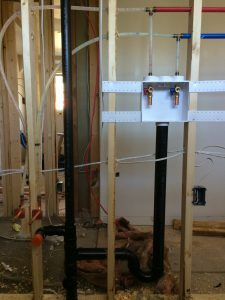 This client is adding in a new laundry room and contacted CALLAWAY Plumbing and Drains Ltd. to install new water tubing and drain lines. 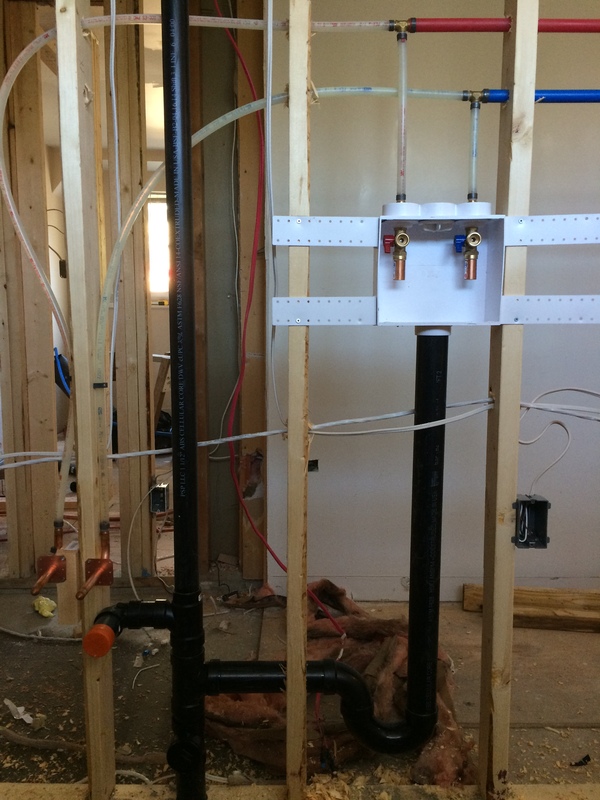 We have installed a laundry box with hammer arrestors, PEX water tubing and ABS pipe for the drainage. This new laundry rough in has now passed the rough plumbing inspection.